The Wellington is your destination for luxury living in a convenient location. Nestled in serene Hatboro, Pennsylvania, our apartments give you that quiet lifestyle you are looking for less than an hour from downtown Philadelphia and only 30 minutes from Trenton, New Jersey. Commuters and travelers love our proximity to Route 611, the PA Turnpike, and public transportation. Our community also offers easy access to many shops, restaurants, and other local businesses along Route 611, so you don't have to travel far to enjoy a little retail therapy or a night out on the town. Just minutes from home, you can enjoy one of several local parks, catch a movie at a local cinema, or race go karts at Speed Raceway.  Visit our neighborhood and stop by today to experience the best of Hatboro luxury living at The Wellington.